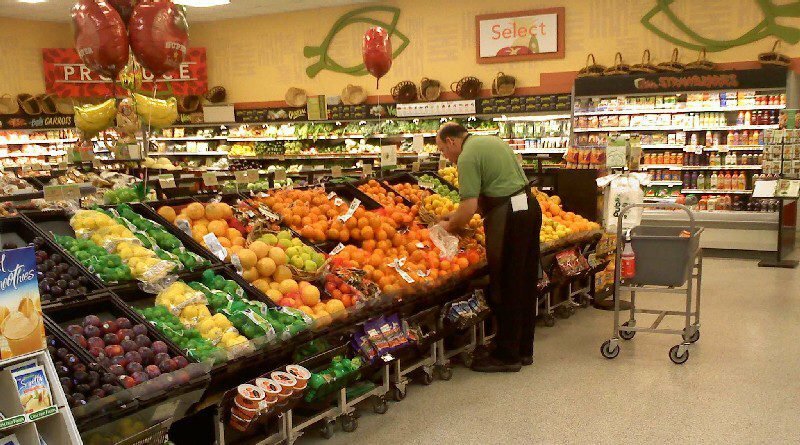 Publix, the largest employee-owned grocery chain in the U.S., and Instacart, the technology-driven, on-demand grocery delivery service, announced today plans to strengthen their relationship with a plan to bring same-day grocery delivery to all Publix customers. Publix and Instacart joined forces to bring same-day grocery delivery to customers in July 2016 via delivery.publix.com and instacart.com. Since then, customers have embraced the service. Instacart and Publix are now delivering in Florida (Daytona Beach, Ft. Lauderdale, Ft. Myers, Jacksonville, Melbourne, Miami, Naples, Orlando, Sarasota, St. Petersburg, Tallahassee, Tampa and West Palm Beach), Georgia (Atlanta), South Carolina (Columbia), North Carolina (Charlotte, Durham and Raleigh) and Tennessee (Knoxville and Nashville). Instacart has created nearly 2,800 new jobs in these regions. Publix, with Instacart, is expanding the existing service over the next five months to bring Publix grocery delivery to markets in Alabama (Birmingham, Dothan, Huntsville, Mobile and Montgomery), Florida (Cape Coral, Crestview, Ft. Pierce, Gainesville and Panama City), Georgia (Albany, Augusta, Macon and Savannah), North Carolina (Asheville, High Point, Wilmington and Winston-Salem), South Carolina (Charleston, Greenville, Hilton Head Island, Myrtle Beach and Spartanburg), Tennessee (Chattanooga) and Virginia (Richmond). By 2020, Publix and Instacart are committed to offering same-day home delivery from all Publix market areas. “Publix has an industry leading reputation for customer service, operational excellence and caring for its communities. We are extremely proud of the Publix Instacart team and the shared success we have seen over the last year. We are excited by the opportunity to bring Publix same-day deliveries to more customers across the Southeast,” said Apoorva Mehta, CEO of Instacart. Publix is privately owned and operated by its 187,500 employees, with 2016 sales of $34 billion. Publix has 1,147 stores in Florida, Georgia, Alabama, Tennessee, South Carolina and North Carolina. The company has been named one of Fortune’s “100 Best Companies to Work For in America” for 20 consecutive years. In addition, Publix’s dedication to superior quality and customer service is recognized among the top in the grocery business. For more information, visit the company’s website, corporate.publix.com. Instacart helps people cross grocery shopping off their to-do lists with just a few clicks. Customers use the Instacart website or app to create their shopping lists from their favorite, local stores, and Instacart connects them with shoppers who hand pick the items on their list and deliver them straight to their door. Founded in San Francisco in 2012, Instacart has quickly scaled to over 60 markets nationwide and partnered with retailers across the United States, including popular national chains as well as local, regional grocers. By combining a personal touch with cutting-edge technology, Instacart offers customers a simple solution to save time and eat fresh food from the most trusted grocery brands. Instacart is the only grocery service that can meet today’s on-demand lifestyle by delivering in as little as one hour. First delivery is free at www.instacart.com.